We had a racoon rip into our roof during the 3 day rain just around Easter. Richard and crew arrived as soon as we called to make a repair. 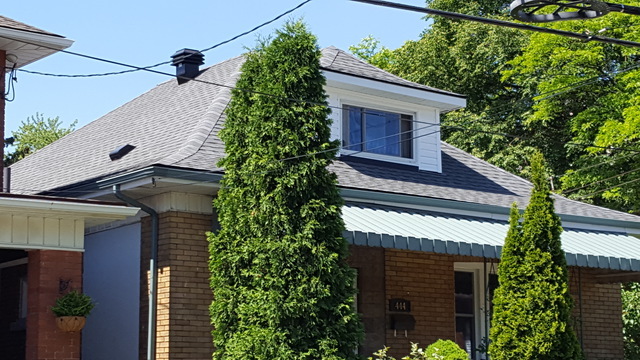 The cost of the repair was included as part of the whole roof reshingling project that followed. The big wind storm that later hit the city delayed our project as they took on emergency efforts with others. We felt some anxiety at the delay but Richard reassured us we would be looked after and we soon were. Richard and his crew work like a well oiled machine. They each have tasks in taking on the roof and are a marvel to observe. The result is a professionally finished roof that we and others have been admiring since! Attractive Products and Price ! We were attracted to this company because it is a family business. We went to the showroom on a Friday, talked to Terri who demonstrated the door system features. She set us up for the following Monday for the installation. Joe, the installer, arrived on time and completed all tasks with consideration and efficiency. We recommend this company to anyone! It is great to hear that you were happy with the office staff, and the installation technician. We are proud to be a family owned and operated company who takes time with our customers to help them make informed decisions on their needs for garage doors and openers. We appreciate you taking the time to write a review for our company. 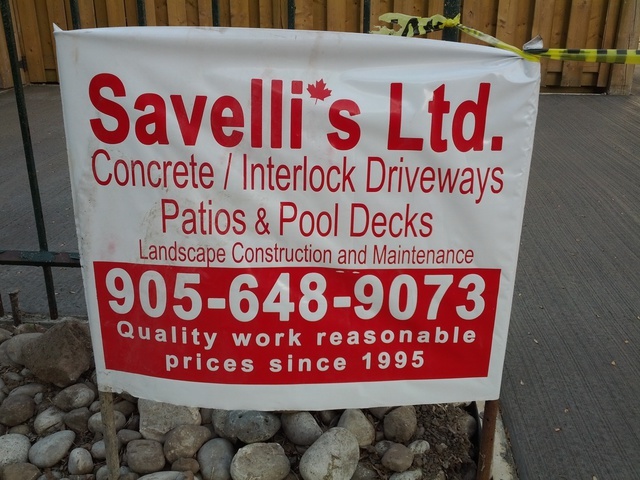 Last year we saw this company doing a driveway near us and we were impressed with the work done. 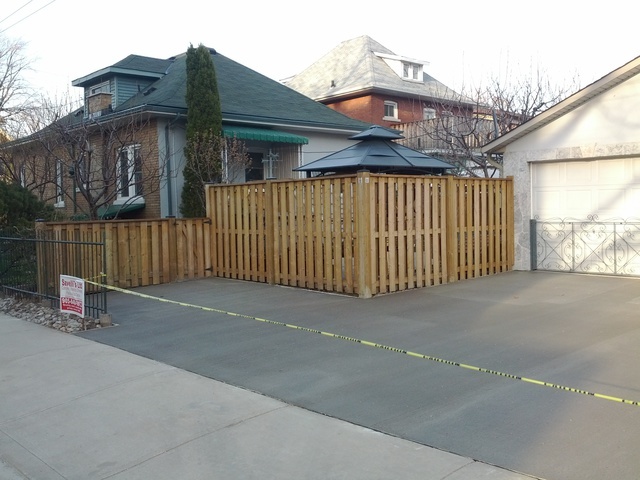 This year after getting 3 quotes from concrete companies we found this company to be the most detailed and reasonable in their quote. We are so glad we accepted their quote. The result is magnificent and we have had many compliments from neighbours and passersby. Several have asked for their card information and we can assure all that their workmanship is top quality. All the workers, and Chris the owner, were friendly and efficient in all aspects of the task. The 750+ sq.ft. driveway used to be a patchwork of pavers, grass and old boken concrete. Now it looks like a work of art! We added a second vanity to our main bathroom where there had been a bidet and replaced the original vanity at the same time to have a matched pair. We called and Dave was available to come the next day. He redid the existing couplings and installed the vanities without any problems. He was precise, and tidy in his work. All is looking beautiful. We will definitely have him do any future work. 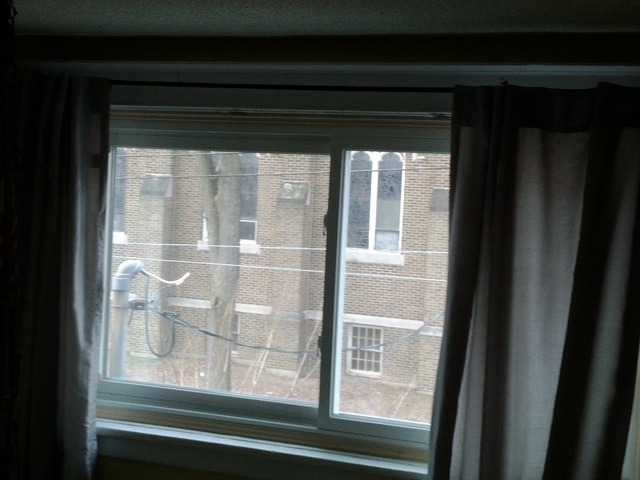 In February,we replaced 19 windows at once because of the great price and guarantee from Beverley Hills H.I. The installers, Manny , and Eric were most efficient and tidy. Not a splinter from removing and replacing trims. Also, nothing to clean up inside or outside when they left. I highly recommend Beverley hills and ask for Manny and Eric for the install. 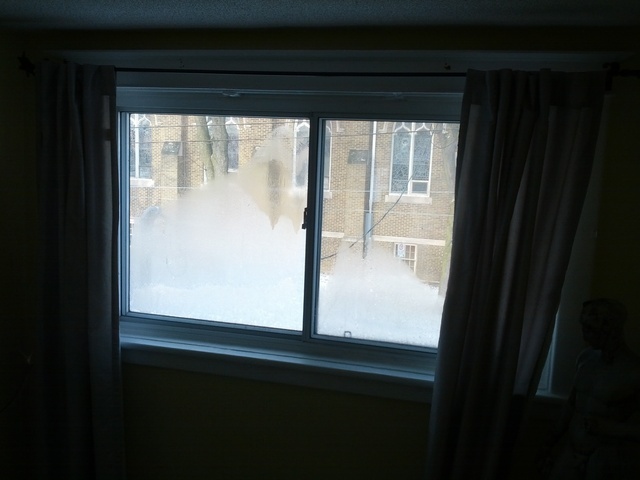 Our heating bill has been half of what it was before the new windows! I had a patio door with a large upper transom installed in place of a malfunctioning window. The installation is about 11 feet by 5 feetand accesses a back deck. All personel were pleasant and efficient in their work from Blair the estimator/salesperson to Brendan with the final measurements. Both gave sound and accurate advice. The install crew was the best work crew I have seen for some time - polite , timely, tidy and precise. I recommend Vladimir and his assistants to everyone! All my future window and door requirements will be with Consumer's Choice and hopefully the same personel will be available. Domenic is a traditional cement worker. He measures,calculates, frames and pours cement by hand in the traditional way. It is a skill seldom enjoyed in this age of high-tech equipment and large industrial businesses. I am glad I had him do this job. From a brief conversation on site about the area to be surfaced, slope, drainage, and all the 'what if' concerns, I got it all!!! Everything we agreed on he delivered confidently, and skillfully. Both he and his son, who works with him, were at all times pleasant, timely, and reassuring in words and work. He does not do frivilous fancy work which I would not want anyway but does produce a sensible, functional, and sound result. I highly reccomend him to anyone wanting the same! I needed one roof vent installed. Robert was quick to respond to my phone call. We talked about my venting needs and he came the next day to see what he could or could not do. So many other contractors I contacted would either not return my call or would not do such a small job. Not only did Robert come by promptly, but he bought along materials he believed I might need based entirely on that one phone discussion. As it turned out, the product was exactly what was needed and he did the job with enthusiasm in just a little over 1 hour. It was a beastly hot, humid day and he worked pleasantly fast and efficient all the while informing me of what he was doing and why one aspect was better than another. I am now as confident of what he did as he was in doing the instalation. I would have him work on my roof again without hesitation. Give him a call about your roofing needs! I am glad I could be of service. To us here at The Cutting Edge Roofing, No job is to small. Thanks so much for the glowing review. It is very much appreciated. The instalation of the skylights and sun tunnel was the cleanest, most precise, and efficient work I have seen. There has never been a concern since. Even watchful neighbours were impressed. He and his crew were always considerate, timely, and tidy. They gave sound, and practical advice, and I recommend them to anyone.